The minimally invasive surgery evolution benefits patients’ recovery, but still faces resistance from patients and surgeons as Dr. Mona Orady explains. We’re well within a new era of healing patients in a way that helps them return to normal life quickly and without much pain or scarring, but there are too many medical professionals who are resistant to this evolution in medicine. 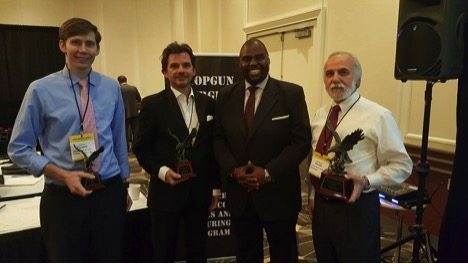 I have dedicated my career to moving this development forward and then teaching and mentoring both the young and experienced surgeon to advance toward more minimally invasive surgical techniques so that patients can return to their lives more quickly – an essential in this day and age. It is now too costly for the patient and for society to require days in the hospital and weeks off work in order to have surgical treatment for their problem. Many patients will even delay treatment for months or years for this very reason. 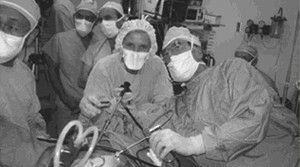 The last 30 years have been defined by the number and types of surgical procedures performed by minimally invasive surgery and robotics. This has been sustained by a wide variety of innovative medical devices from trocars to endoscopes to tissue approximation devices to endo clips, to name a few. The surgical robot has had a dramatic impact on minimal access surgery, raising the bar on the types of surgical procedures that can be performed1. As minimally invasive surgery evolves and progresses, a patient’s time in the hospital is reduced to day surgery, and their return to normal life and work is shortened as well, to an interval of days, to a few weeks. 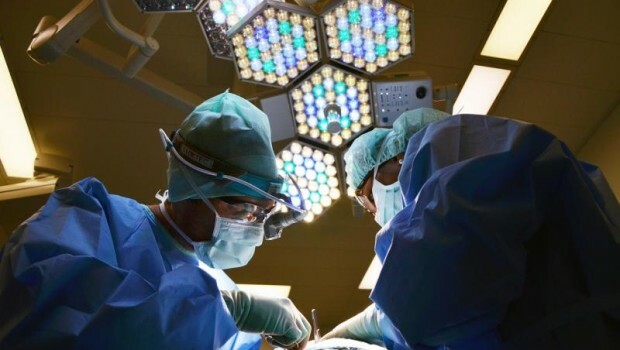 The introduction and advancement of minimally invasive surgery, including laparoscopy and robotic assisted laparoscopy, has brought in a new era in many disciplines of medicine. One of its pioneers just wrote a book (Lovers and Spouses by Liselotte Mettler & Elwin W. Law) on her own personal history, where you can see the time and work that went into not only the creation of minimally invasive surgery, but the acceptance of it, proving its results over and over again. As one of my mentors, Dr. Liselotte Mettler herself shows us that it wasn’t easy. 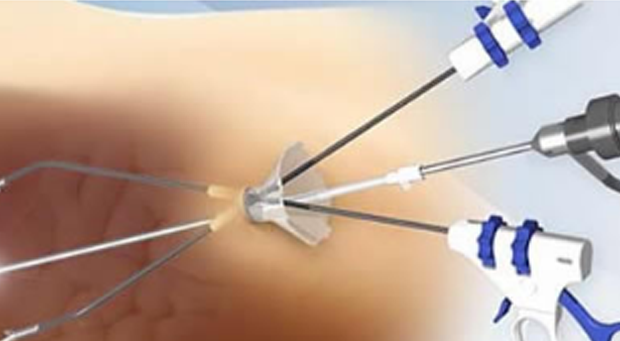 With technological advancement, there are now many procedures, which can be performed using robotic assisted laparoscopy, using techniques that give the surgeon superior precision, dexterity, and increased safety and benefits for patients by avoiding the need or possibility of “open” surgery. 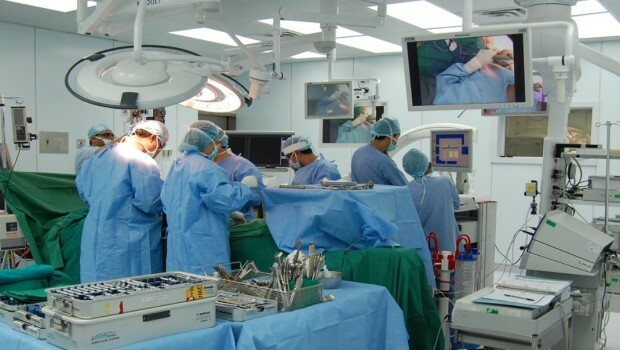 There has been a dramatic increase in the number of robotic procedures and the types of operations performed. 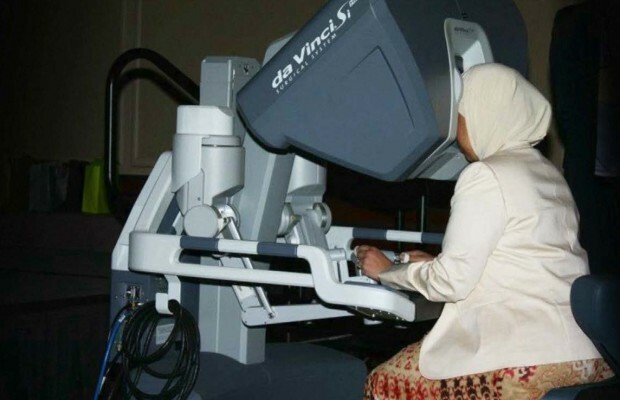 From 2007 to 2009 the procedures increased from 80,000 to 205,000 and worldwide, more than 570,000 procedures were performed with the da Vinci robotic surgical system in 2014, with this figure growing almost 10% each year. Robotic-assisted surgery (RAS) has found its way into almost every surgical subspecialty and now has approved uses in urology, gynecology, cardiothoracic surgery, general surgery, and otolaryngology2. In fact, there comes a point where open surgery needs to be questioned when the possibility of a minimally invasive option exists. 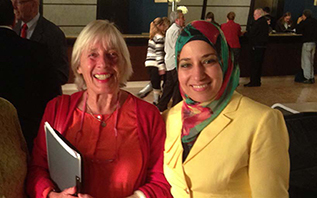 Mona Orady with Liselotte Mettler (left). The safety and effectiveness of minimally invasive surgery has been demonstrated in numerous studies and our patients’ testimony. We know from our patients that the emotional difficulties of surgery have been lessened as they are able to return home to loved ones sooner; we see that they recover quickly, have very little pain, and are able to go back to work to provide for their families, essential in every scale of the economy. We also know that children have less trauma when they can return home more quickly, and with less pain, into the loving arms of their parents. The same is true for adults, as the overall stress and trauma of having surgery is reduced. These aspects of patient care cannot be ignored for several reasons. First, both robotic assisted laparoscopic and traditional laparoscopic approaches have demonstrated many advantages over open surgery. Normally, hospitals that allow each surgeon the choice in how to operate on their patients have an advantage: give the surgeon a choice that they are most comfortable with and they thrive. The exception is when open surgery is chosen in place of a more minimally invasive option. 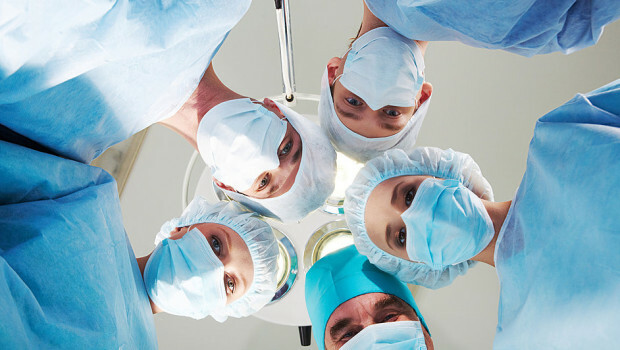 Although the operating room cost of an open surgery is generally less than a minimally invasive surgery because of less expensive instruments and shorter operating room time, the “tax” of open surgery on the patient is that it allows for too much pain, increases risk of infection or other complications and results in lengthy hospital stay as well as a long recovery period, which most patients cannot afford3. Therefore, instead of only criticizing the excess cost of the surgery itself, the cost savings of a shorter hospital stay, the decreased need for postoperative analgesia, early food tolerance, an earlier return to work, and lower rate of wound infection, re-admission, and other complications must be taken into account. In any field, new technology always costs more, which is expected, but as for any technology, as competition increases and experience is gained, the cost of robotic assisted and advanced laparoscopic surgery should decrease – and we must insist on this by supporting the companies who are developing new safe, effective minimally invasive tools and technology including surgical robots.4 We can also support the news outlets that skillfully examine the real cost savings to the patient instead of looking at just the cost of the instrumentation alone. Second, the pain of surgery carries emotional risks, and passive trauma to all members of the family. As a surgeon myself, it is amazing that even I feel the pain and trauma that my patient is going through. This was definitely an impetus for me to innovate and push the field forward, as I was convinced that surgery with minimal pain and scarring could be achieved. Pain and suffering can never be quantified in dollars and cents. It is undeniable that the difference in pain and suffering that a patient experiences in minimally invasive and robotic surgery is measurably and categorically much less than for open surgery. Often patients may not require much more than a few days of pain medication, and very frequently this is only milder pain medications like ibuprofen or Tylenol, rather than narcotics. Another fact we cannot ignore is the current opinion of respected psychiatry, which estimates that one in five American adults has a diagnosable mental illness.5 While greater attention and more evidence are needed, the risk associated with the pain and trauma of undergoing an open surgery should be considered. Surgery requires the emotional stability to handle the knowledge of having a problem that requires surgery, as well as having to deal with lengthy hospital stays, pain and continued care required before the patient can return to normal life.6 These patients, often undiagnosed, need sophisticated care.7 Minimizing their trauma will ensure that they get the treatment they need and will impact them psychologically much less. Third, international literature has evaluated the long-term outcomes of minimally invasive surgery and the results are positive.8 The future, we know, is all about less invasive surgery. We now have even smaller instruments, with the emergence of mini- and micro-laparoscopic instruments and techniques, which take traditional laparoscopic surgery and makes it even less invasive, approaching the ideal of scarless, painless surgery. What we can see also, if one pays attention, is that more sophisticated non-surgical diagnosis and treatment modalities, using molecular energy, is also in our future. The medical society SLS, an elite group of over 6,000 MIS multispecialty surgeons, as well as international leaders in medicine and surgery, is showcasing energy medicine at MIS Week in San Francisco this year, as well as advanced minimally invasive surgical techniques. We’re talking about the continued use of technology in medicine to help patients even more. Imagine a setting where we no longer cut the patient open, at all, treating patients in a star trek like fashion. But also, for what it’s worth, we know many patients are concerned about scaring, and intuitive sense supported by many studies we know that MIS helps with cosmesis.9. The cosmetics of surgery, and the impact of scarring, especially when you are talking about the abdomen or the thyroid gland, for example, can have a definite psychological effect on our patients. This is where training can be so important. Learning how to minimize scars with the right equipment is one of the techniques we teach at MIS Week, because patients tell us that this is important. 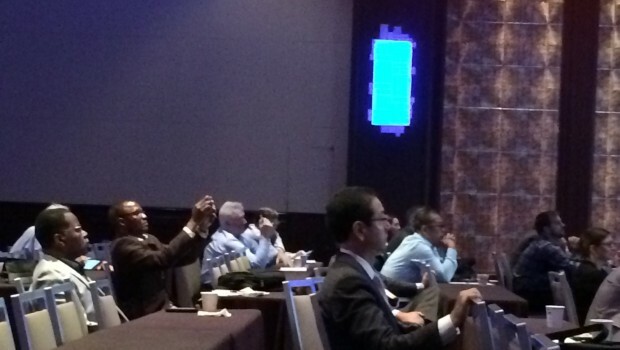 A surgeon can use the web to assist in their training, but there is nothing better than actually being there, seeing it with your own eyes. Dr. Gustavo Carvalho, a laparoscopic/bariatric surgeon from Brazil, using 3mm tools, who underwent this type of surgery, showed no evidence of scarring at all. But again, this takes thorough training. 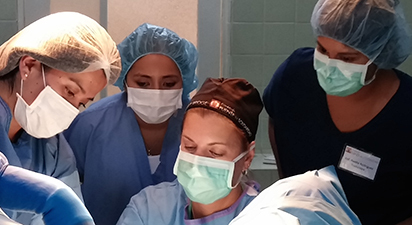 At MIS Week’s 2015 and 2016 he personally taught dozens of surgeons, both experienced and residents using much smaller tools.10 He is continuing his training throughout the world. Because of that success, we are further gaining progress in energy medicine, and the MIS Week conference will discuss what the future holds for no-incision surgery through workshops in surgical energy. When we are ready, medical societies will have the training needed to push us all forward, giving patients what they want and need. It is tough to put into words what true minimally invasive surgery means to our patients. As an example, if a mother of three can heal faster; more quickly and comfortably go back into her routine; save time and money; and minimize the negative impact of surgery on her life, minimally invasive is positive for her. It also allows her the option of getting treatment immediately, rather than waiting until there is a convenient time for her to take weeks out of her life to heal, which we all know rarely happens. Many of the women I treated minimally invasively, especially using robotic assisted laparoscopy to avoid open surgery, had suffered with their condition for years, because they simply could not set aside weeks to heal from an open surgery. Thus, as natural caretakers, they continued to suffer in silence because women often prioritized being able to take care of others as long as they can bear their own condition. The absolute joy they had over having an option for quick, effective surgery, with minimal pain that allowed them to get back to their normal lives quickly is what motivates me to continue pushing this field forward in Gynecology. For breadwinners, it helps keep the family stable and supported to have them home sooner, without pain, and ready to go back to work. Students don’t have to miss their tests and athletes their races. I have seen it all in my practice and I’m prepared to tell those stories of patients who have benefited from the results of today’s minimally invasive surgery. Dr. Mona Orady was director of robotic surgery education at Cleveland Clinic before recently moving to San Francisco’s Dignity Health system as the Director of Robotic Surgery Services at St. Francis Memorial hospital. She is also a current board member of the medical society SLS. She has written numerous articles, given television interviews and taught many courses on minimally invasive and robotic surgery and has won the “top gun” competition at SLS time after time. In 2011 Dr. Orady produced the Best Gynecology Video, at SLS’s 20th Anniversary Meeting and delivered the Best Oral Presentation to win Third Place at the AAGL 5th International Congress of Minimally Invasive Gynecologic Surgery, Istanbul, Turkey and the MIRA Robot Olympics Contest – Bronze Medal, at the 6th Annual MIRA Congress, Athens, Greece.